In 1805 and 1806, Aaron Burr, former vice president of the newly formed American republic, traveled through the Trans-Appalachian West gathering support for a mysterious enterprise, for which he was arrested and tried for treason in 1807. 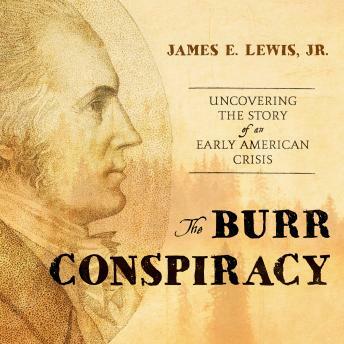 This book explores the political and cultural forces that shaped how Americans made sense of the uncertain rumors and reports about Burr's intentions and movements, and examines what the resulting crisis reveals about their anxieties concerning the new nation's fragile union and uncertain republic. Burr was said to have enticed some people with plans to liberate Spanish Mexico, others with promises of land in the Orleans Territory, still others with talk of building a new empire beyond the Appalachian Mountains. The Burr Conspiracy was a cause celebre of the early republic?with Burr cast as the chief villain of the Founding Fathers?even as the evidence against him was vague and conflicting. Rather than trying to discover the real intentions of Burr or his accusers?Thomas Jefferson foremost among them?James E. Lewis Jr. looks at how differing understandings of the Burr Conspiracy were shaped by everything from partisan politics and biased newspapers to notions of honor and gentility.